Megyn Kelly on Wednesday, October 24, 2018. We’d be lying if we said this news didn’t make us snicker in the slightest, so we’ll just admit it outright: In what can only be described as an exquisite demonstration of karma, the Today show has seen a ratings jump since the sudden departure of its once prized catch-turned-money pit, Megyn Kelly. 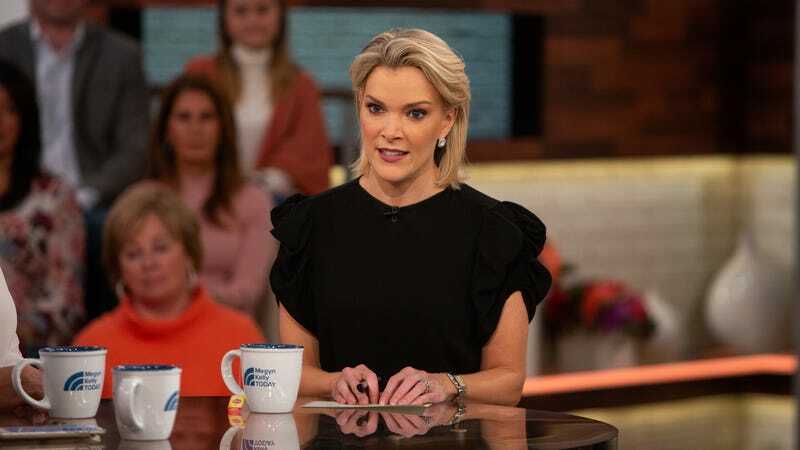 In fact, as reported by Variety, the multi-hour morning show saw an immediate five percent surge in viewership after the cancellation of Megyn Kelly Today in late October, following the former Fox anchor’s highly controversial defense of blackface in a Halloween segment. Kelly and NBC execs continue to negotiate the terms of her exit from her contract, which was reported to be in the mid-eight figures. But according to Nielsen, in the three weeks since her hour on Today was recast with a rotating roster of current hosts, viewership has risen about 10 percent, with its first two hours outpacing rival Good Morning America, which generally boasts the larger audience. NBC has cited the margin between the two as the narrowest in seven years. Of course, it could be argued that the controversy caused by Kelly’s exit is the thing that increased interest in NBC’s morning lineup, as viewers tuned in to see how the network would navigate her absence. No telling if that surge will continue, but with the sudden boost, maybe NBC’s bad investment is finally paying off, after all.